In the past, we have shown how to edit WordPress Genesis child theme or the main theme to avoid the errors shown by Google Structured Data if you change from default SCHEMA CreativeWork. Google Structured Data Testing Tool Will Show Error For Last Updated Without a Basic Tweak. 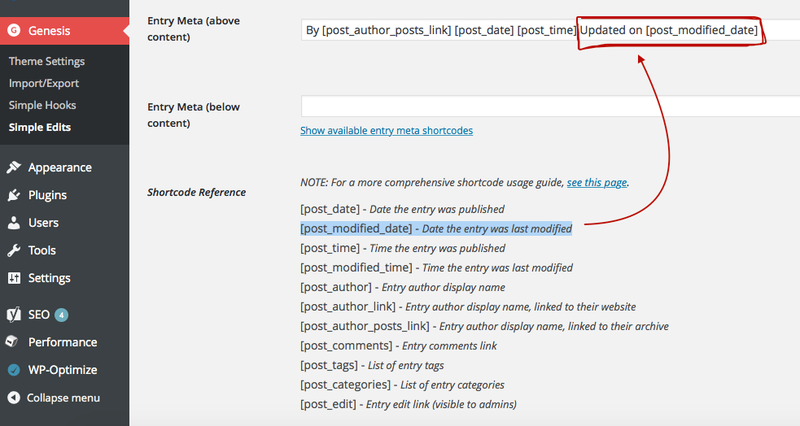 Here is How to Add Last Updated Rich Snippet on WordPress Genesis. This is not exactly end of the list – there are lot of other Genesis micro format template related guides. By any means, these guides are not for the beginners. We are not going to WordPress Genesis Figure, Figcaption and ImageObject matter, that thing we can do from database and WordPress core files in separate article. After saving the settings, flush the cache and test with Google Structured Data Testing Tool. You’ll not see any error. This Article Has Been Shared 4300 Times! Cite this article as: Abhishek Ghosh, "WordPress Genesis : Add Last Updated Rich Snippet," in The Customize Windows, July 1, 2016, April 21, 2019, https://thecustomizewindows.com/2016/07/last-updated-rich-snippet/.